Everything is changing and evolving. Especially it concerns the Internet and modern technology. One of the main ways to be “always afloat” is to monitor all the new developments, and to avoid using outdated strategies. Here are ten methods of SEO that used to work between the dates of 2007 and 2011 (respectively), but that do not work anymore. They have either been replaced by something better. They have been altered so that they cannot be abuse. They are now being punished by Google, or they are simply too short sited to be worth their while. The list is in no particular order, and the dates through which these techniques used to work–vary from one to the other. The used to work back in the old days, but those days have gone. Now a link farm is going to be shut down within two months of it getting a good web ranking, and if your domain appears on them a few too many times then you will go down with it. It is now considered black hat SEO, where as if it is part of a directory, which aims to provide specific links to specific companies and businesses in a certain industry, then it would be okay. Suffice it to say that if you are adding your domain to anything that may be called a link farm, you should stop right now. If you are reading similar articles on this subject and find that many of them advise you not to get reciprocal links then ignore it. Reciprocal links are a good thing and should be part of your link building strategy. What you need to do is stop being such a loose cannon with it, and stop getting links from just anywhere. If you are going to use this technique then you need to ensure two things. You need to make sure that your whole link strategy is not based upon it because if you have a large number of reciprocal links then Google will smell a rat. Secondly, you need to get reciprocal links from websites that are related to your domain. If your domain is a website that sells garden objects then your links should be to and from gardening related websites. It does not have to be a strong association with your website but it must have at least something to do with it (no matter how abstract or generalized). Thanks to mobile technology you cannot focus on Google alone anymore. You need to factor in multiple browsers and social media. If you focus on just Google then you will be missing out on all the other ways that you can get traffic. This has been replaced by guest posting on other websites and blogs. The article sites still receive a fair amount of traffic, but posting a guest post or guest article on another website is a far more effective way of getting a good link. Many of the article sites have such a mixture of topics on them that they provide very weak links to your site. You can get a stronger link through guest posting/guest articles, which will be a far better use of your time and article writing skills. This has changed in its meaning. Low quality content used to mean poor grammar, keyword stuffing, and poor sentence syntax. Now poor quality means thin content. This is because articles with poor grammar, keyword stuffing etc, are simply not indexed by search engines anymore. These sorts of dirty tricks are an old method of SEO that needs to be avoided. Now you need to avoid thin content. This is where you create some wishy-washy content with very little information, which you place a link in. Thin content is an SEO trick that is working less and less these days. The sooner you stop doing it–the better. If you have a popular press release system then you can have your news published and indexed by Google in record time. This is a known fact to the point where people are creating press releases just to “Get their name out there.” They are creating press releases that do not actually hold any news or usable information. This is a very pointless SEO technique that achieves nothing. Google is not going to rank a piece of text highly just because you put it on a newsreel, or just because you call it a press release! There are new marketing techniques coming out all the time. They are often a flash in the pan such as “link bait” and “buzz marketing.” Nevertheless, you would be amazed at how many people try things such as this without a proper plan or strategy. When the search engines were primitive–this SEO method many have been acceptable, but these days, poor planning is just a good way of burning time and money. Automation is not a very SEO friendly thing these days. Things such as automated dissemination bots, auto commenters, auto reviewers, auto “like” machines and spinning technology. They are all simply another way of getting you punished by Google for being lazy. Automation is something that had a brief popularity in the early 2010’s, and now needs to die (except for scheduling software, which is still useful). This worked back in the old days when you used to be able to get away with keyword stuffing and other such mischief, but this sort of thing is just going to get your website punished these days. Put your user first and SEO second. It used to be that social media signals meant nothing to your SEO value, but it is now part of your SEO rating. It is not as important as what many online marketers have made it out to be, but to ignore social media (such as we did in the old days) is going deny you a free method of increasing your search engine ranking. You need to keep social signals in your mind when you create your SEO plan. You need to find some way of integrating social signals into your SEO strategy. You may do this by creating a social media comment section on your website or blog, or you may create something such as a Facebook business page and point links towards your website or blog. You may also share parts of your blog posts on Twitter in order to have people re-share it or link to your blog. Korah Morrison is a specialist of context advertising, social marketing and copywriter on essay writing service EssayWritingServices.com. She writes articles on various topics that deal with internet marketing, web design, branding and business promotion in the internet. 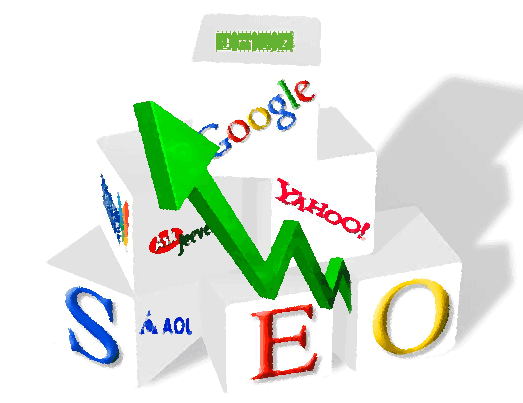 Awesome blog very information methods of SEO .Avoided too all !